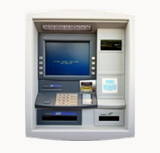 Our refurbished tellers are recognized for their quality and competitive price. Our refurbishing standards guarantee seamless equipment operation. We provide our clients with short configuration schedules in any network, with a purchasing guarantee as well as competitive prices.